To the right is an outdoor sign with tile background and antique-look, High Density Urethane frame. The Chinese text is carved in high relief and painted with long-lasting, automotive-grade enamel. 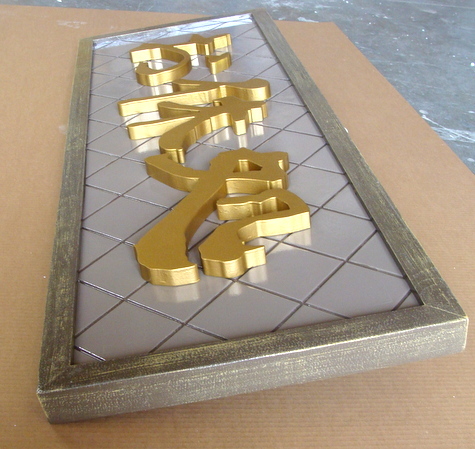 The sign is clear-coated twice for UV protection and durability.